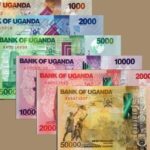 Kampala – The Annual Headline Inflation for the year ending March 2015 increased to 1.9% compared to 1.6% (revised) that was recorded for the year ended February 2015, the Uganda Bureau of Statistics Executive Director Ben Paul Mungyereza says in press statement. This was mainly attributed to a 3.7 % rise in Annual Core prices for the year ending March 2015 compared to an earlier rise of 3.3% (revised) that was recorded in February 2015. However, the Annual EFU inflation declined to 0.8% for the year ending March 2015 compared to 1.8% rise registered in February 2015. On the other hand, the Annual Food Crops registered a deflation of 6.0%, compared to the deflation of 7.0% that was registered in February 2015. 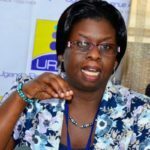 Arua centre registered the highest Annual Inflation of 4.8% compared to 2.9% that was recorded in February 2015. This was driven by high price levels for food, clothing & footwear and rent. Kampala High Income registered the second highest Annual Inflation of 2.5% compared to 1.6% that was recorded in February 2015. The main drivers were high price levels of clothing, rent, furniture and education charges. Mbale centre registered the third highest Annual Inflation of 2.2%, compared to 2.4% recorded in February 2015. The main drivers were high price levels of clothing, rent and household equipments. There was a continued deflation in Annual Food prices to 2.2% in March 2015 compared to the deflation of 3.0% recorded during the year ended February 2015. 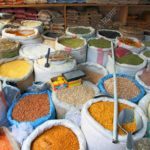 This is mainly attributed to the consistent fall of prices of some staple foods in most centres. The Annual Non-Food Inflation registered 4.1% increase for the year ending March 2015 compared to 3.9% increase recorded for the year ended February 2015. The Annual Inflation for Other Goods increased to 2.4% in March 2015 compared to 1.8% recorded for the year ended February 2015. The Annual Inflation for Services registered 4.8% in March 2015 the same rate recorded for the year ended. The Monthly Food Inflation, which includes food crops and processed foods, went up by 4.7% during the month. The drivers were an increase in prices of matooke, sweet potatoes, Irish potatoes, passion fruits, water melon, bitter tomatoes, green pepper, beans, meat, fish and milk in most centers. However, there was a decrease in prices for cassava, oranges, pineapples, sweet bananas and carrots. In the non-food category, a decrease in prices was recorded for kerosene, petrol, diesel and charcoal. On the other hand, an increase in prices was observed for firewood,clothing and cement in most centers during the month.